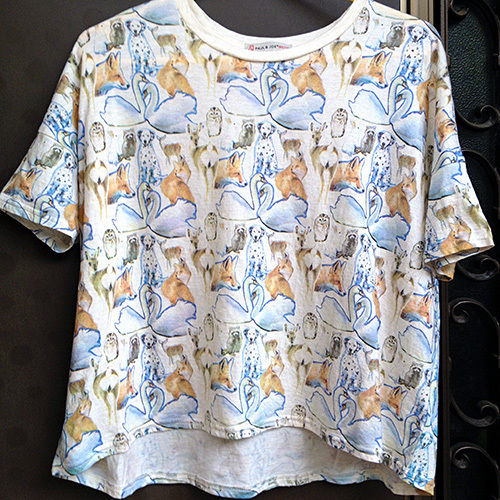 I got a Drop Fox Top from Tsumori Chisato. 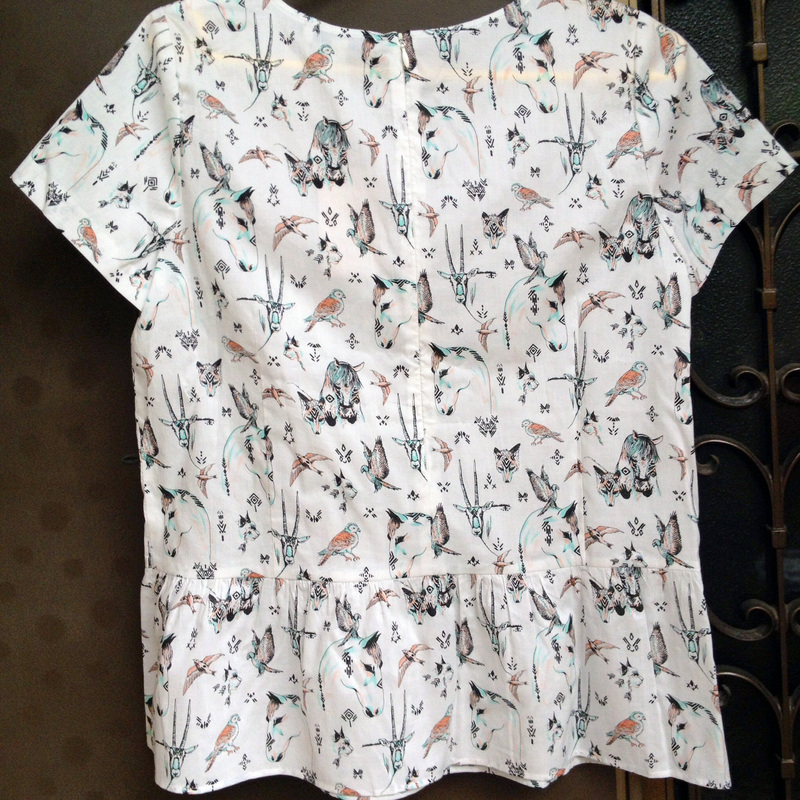 Relaxed Fox printed top has a low scoop neckline and gentle A-line silhouette that swings over skinny jeans or a range of skirts. 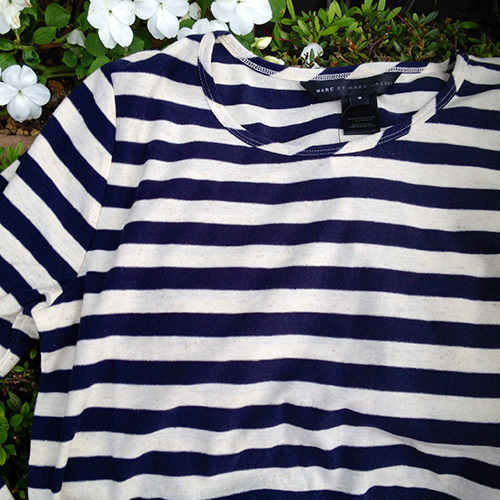 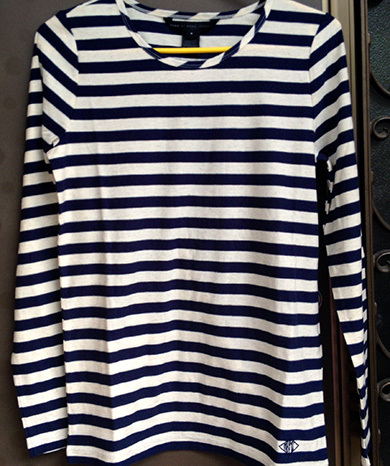 I got a long sleeve striped t-shirt in navy from Marc by Marc Jacobs. 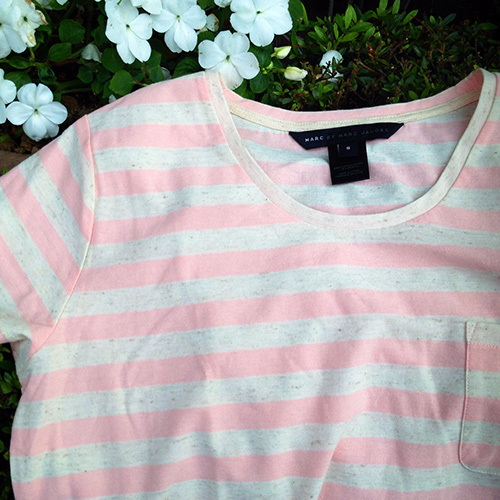 A striped tee in a comfortable blend of natural fibers. 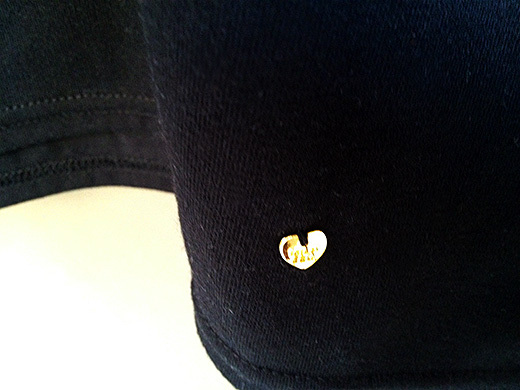 I love the Marc by Marc Jacobs’s embroidery accents the hem. 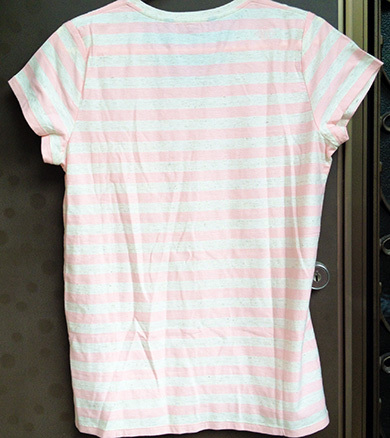 I got a striped tee in adobe pink from Marc by Marc Jacobs. 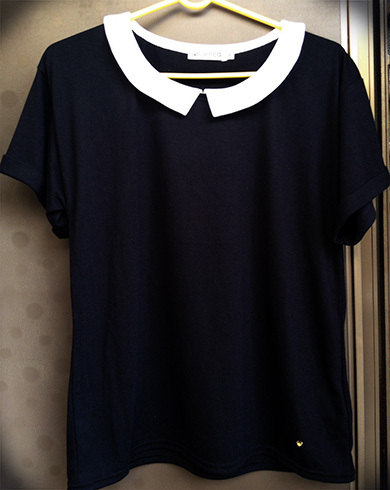 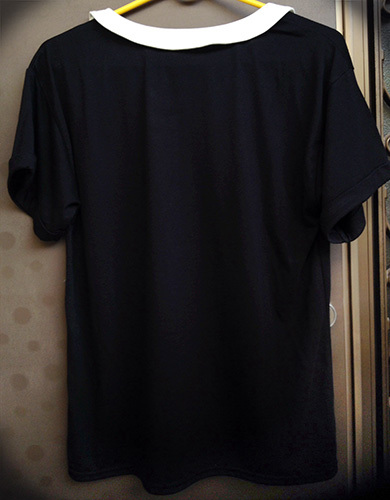 89% cotton and 11% linen tee with jersey knit fabric. 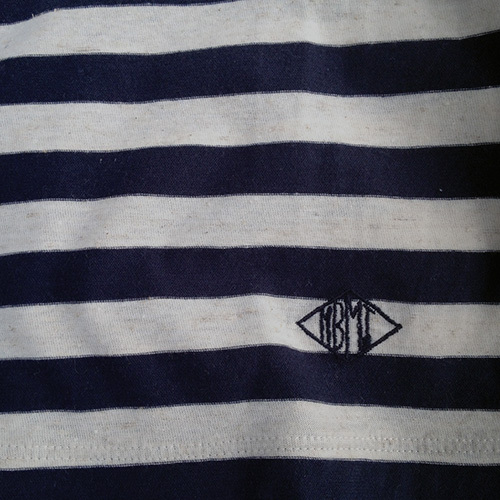 I’m sure it’s going to be a great summer tee. 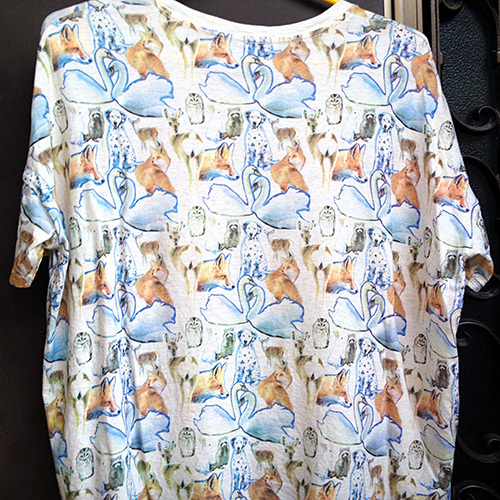 This is a blouse has a charming, bohemian feel with a lively pattern of animals and mystical symbols which I got from Paul & Joe Sister. 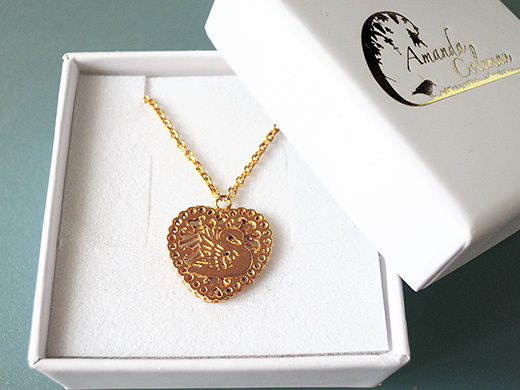 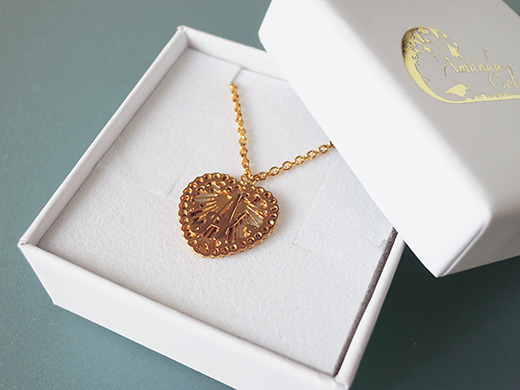 It looks polished if I wear it with a skirt suit. 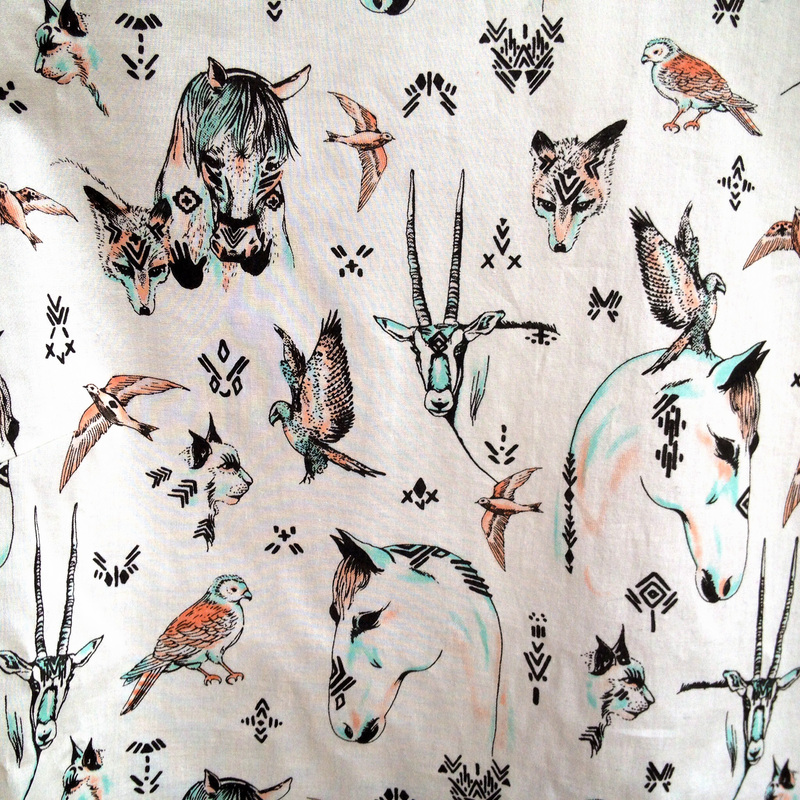 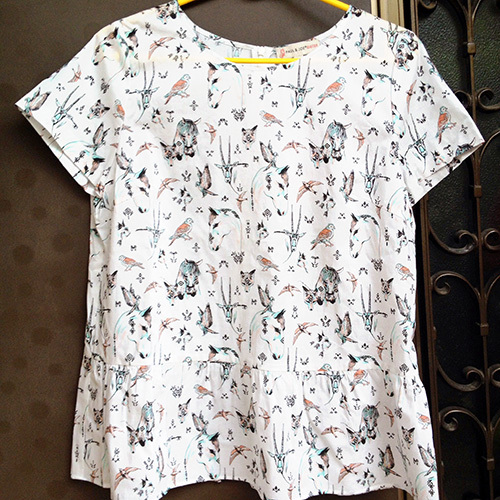 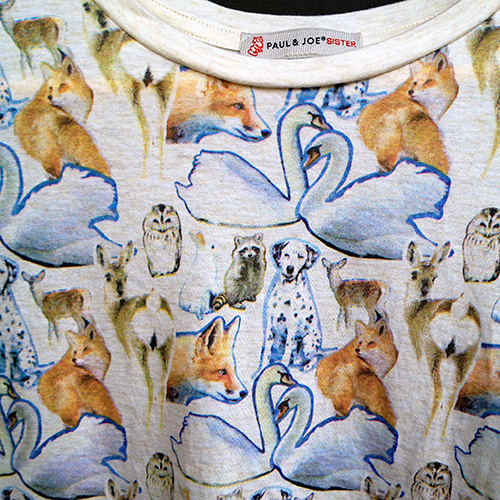 I got a T-shirt with mixed-animal print from Paul & Joe Sister. 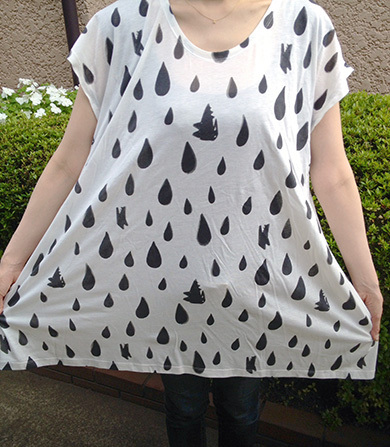 The fit is loose and oversized. 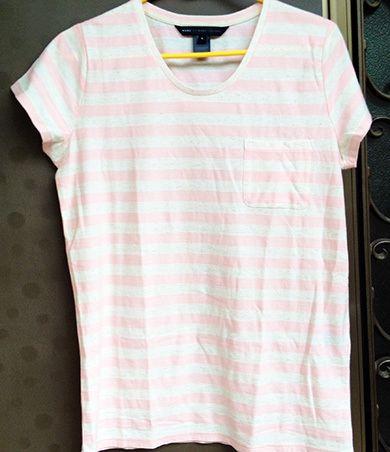 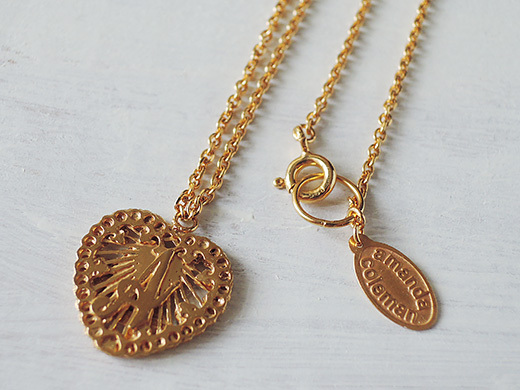 It’s perfect for everyday use with both jeans or a skirt. 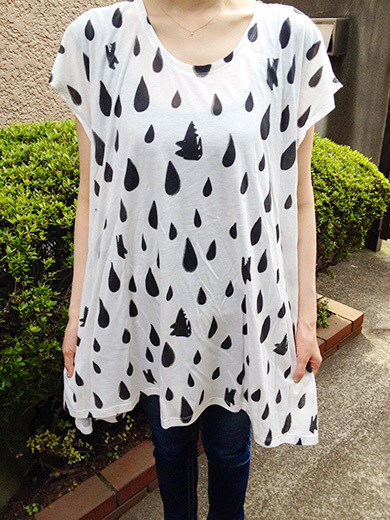 I love the animal print like Noah’s Ark. 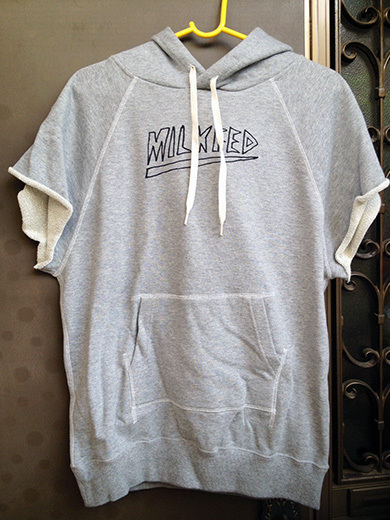 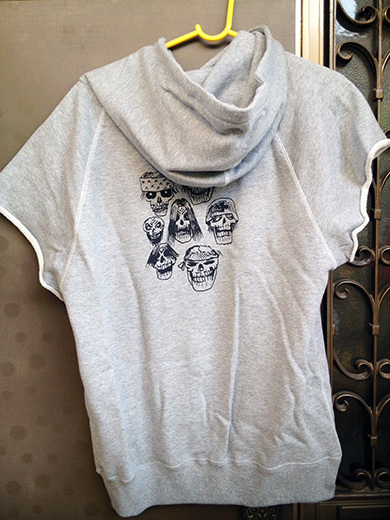 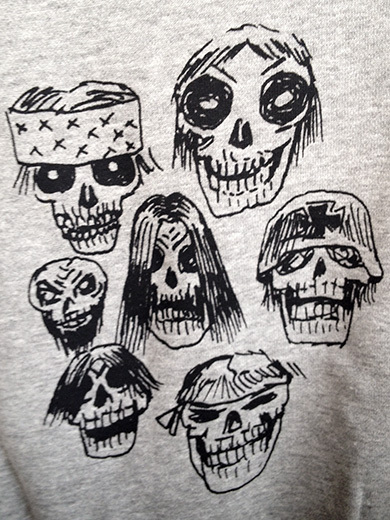 This is a Big Hoody ”Heavy Metal” illustrated by Geoff McFetridge from Milk Fed. 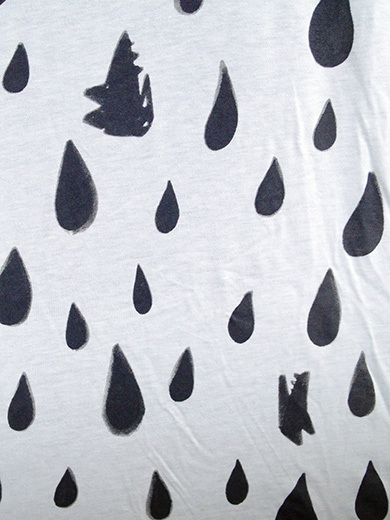 Geoff McFetridge is a West Coast-based graphic designer and artist. 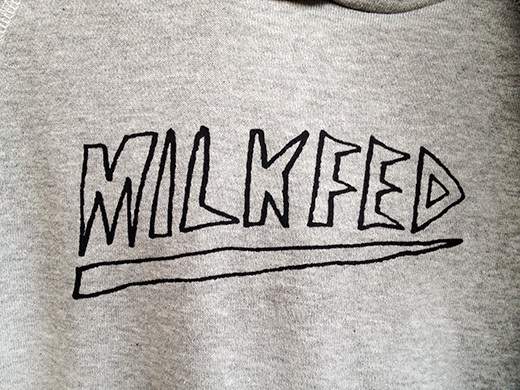 I’m a big fan of Geoff McFetridge, and I have to get this hoody.